I've spent the last week making loads of lovely samples using products from the Spring/Summer 2016 Stampin' Up! catalogue. The catalogue goes live on the 5th January when all the great products will be available, so not long to wait. 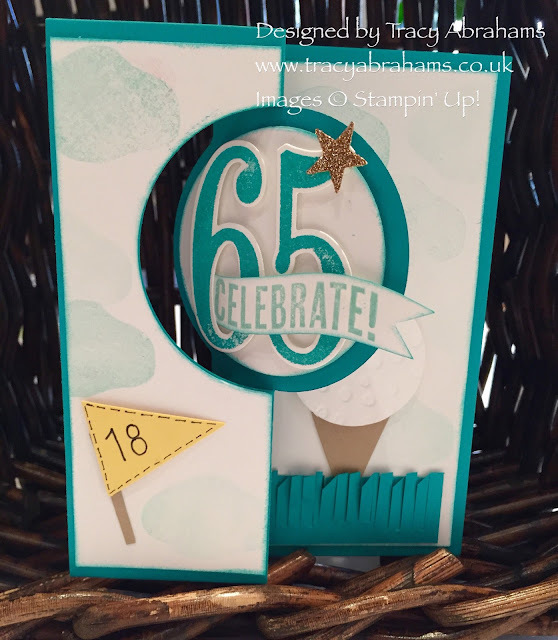 This card was made using the Number of Years Stamp set and it comes in a super bundle with 15% off and co-ordinating beautifully with the Large Numbers Framelits Dies. I needed to make a card for a keen golfer hence the golf theme, I really loved using the bundle so you're going to see a lot more cards made with this great set. This is the inside of the card, I really love the effect of the punch art on this card I used a 1.1/2" circle on the golf ball and embossed it with the Decorative Dots embossing folder. I used the Fringe Scissors for the grass and cut out a triangle for the golf ball holder and the flag. 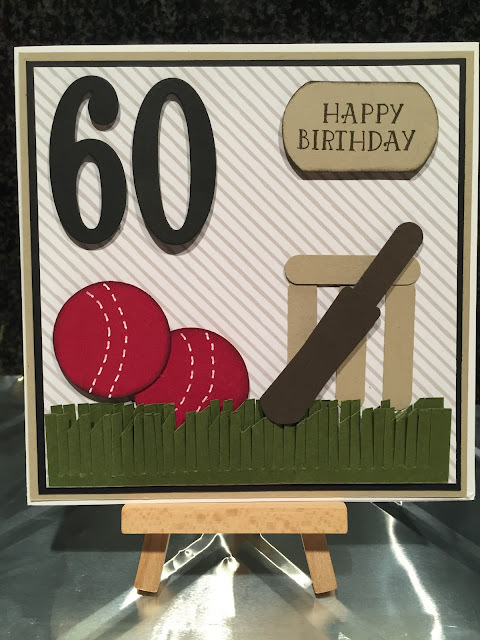 Another card I made using punch art is this one for a cricket fan. I think it looks super cool and the gentleman loved it. 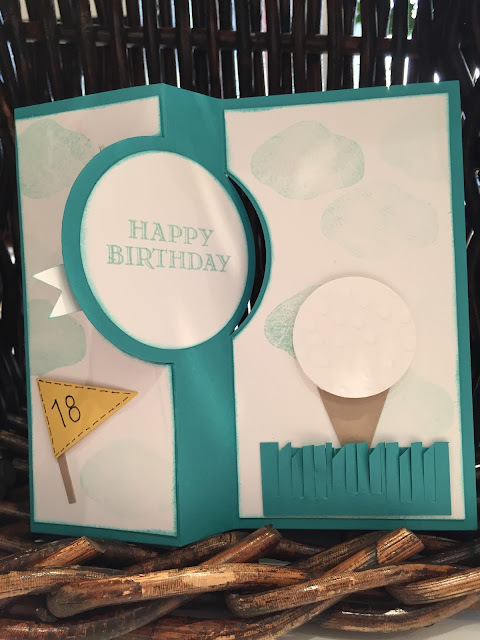 Who knew a simple Word Window Punch could be used to make such a great card? If you would like a copy of the Spring/Summer 2016 Catalogue please send me a message or email me at tamaraabrahams@hotmail.com and let me know and I will send you one out postage FREE. Pop along to my shop by clicking on the picture below to get your hands on some bargains in the Year End Sale or the great Word Window Punch. Stampin' Up! Year End Sale Just Got Even Better.!!!! Gosh I'm super excited to bring to you great news from Stampin' Up! They have just added new items to their YEAR END SALE !!! All these items are only available while stocks last so grab a bargain while you still can. If you do make a purchase please add my hostess code NSQBUK96 to receive my thank you gift for buying with me. These gifts are chosen by me from the Stampin' Up! catalogue and get sent out at the end of the month. The gifts are sent separately to your home address so please do tick the I would like contact so I know where to send the gift to. Last months gifts sent to the ladies was a lovely Ink pad in different colours.